Choice materials, extraordinary quality, thoughtful design, superior functions – there are many sides to contemporary luxury. They all come together in the “Montblanc for BMW” Special Edition, a collection of Montblanc products for on the road and in the office, selected exclusively for BMW. The special collection celebrates not only the two corporations’ shared passion for quality and craftsmanship, it also marks the beginning of a partnership that aims to become a symbol of contemporary luxury. The fact that the collaboration with BMW is the first of its kind for Montblanc is a clear demonstration of just how deep their mutual respect runs. BMW and Montblanc can both look back at many years’ experience in their particular field. Many of their products, for example the BMW 7 Series and the “Meisterstück” fountain pen, are highly exclusive style icons. What both brands have always had in common is the standard they set for themselves and indeed their products: the passion for quality, a love of detail, deep-rooted tradition, and innovative prowess, combined with a quest to constantly re-invent themselves. This is just as much reflected in the two companies’ products, as in those in the exclusive “Montblanc for BMW” Collection. 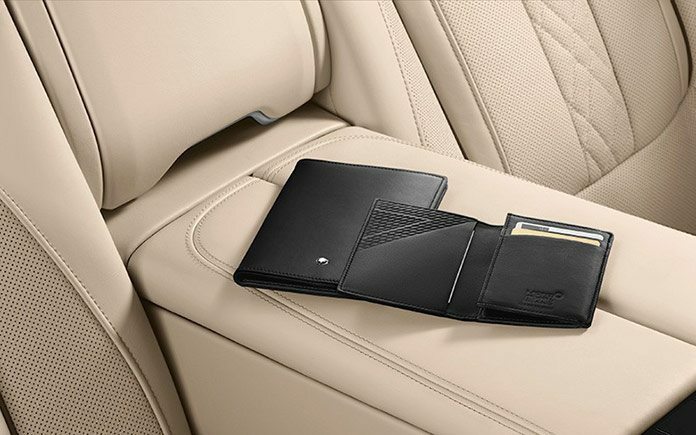 This special collection embraces select leather creations and writing instruments, all perfect companions for the new BMW 7 Series – in everyday life as well on extended, luxurious journeys. 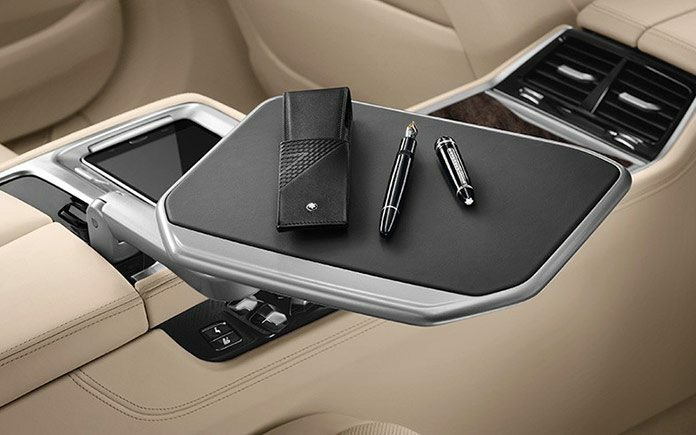 All the items in the collection boast subtle BMW 7 Series-style engraving and discreet “Montblanc for BMW” signature engraving. As of spring 2016 the exclusive series will be part of the BMW Lifestyle Collection and available worldwide in selected BMW and Montblanc stores and boutiques. The choice leather creations by Montblanc are hand-made exclusively by the absolute masters of the trade and as such are an expression of craftsmanship at its very best, of devotion and a love of detail. 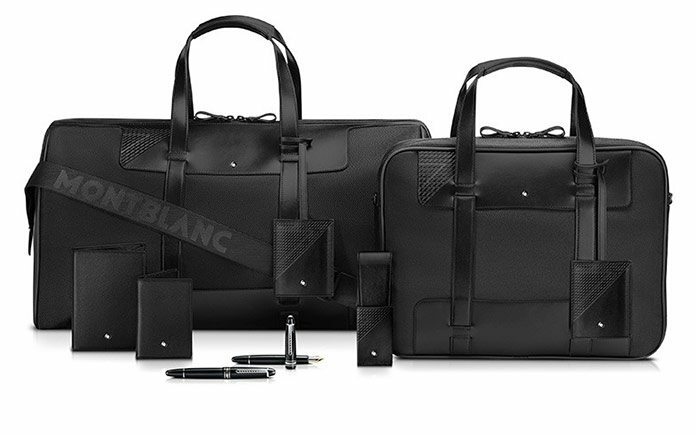 All items in the “Meisterstück” series in the “Montblanc for BMW” Collection are made of European, full-grain cowhide in unique, deep-gloss Montblanc black. The high-quality Jacquard lining with Montblanc lettering and the Montblanc emblem with a palladium-plated ring set refined accents, while the striking BMW 7 Series engraving of the classic basic look adds a technically modern touch. 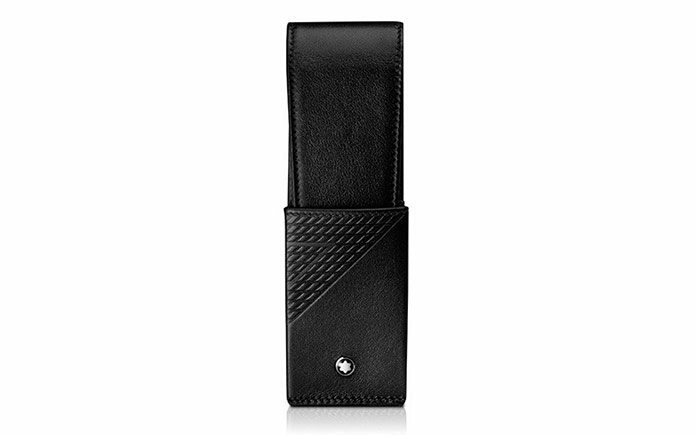 The high-quality Meisterstück business card case stylishly keeps together all important bank cards, membership cards, and business cards in one place. 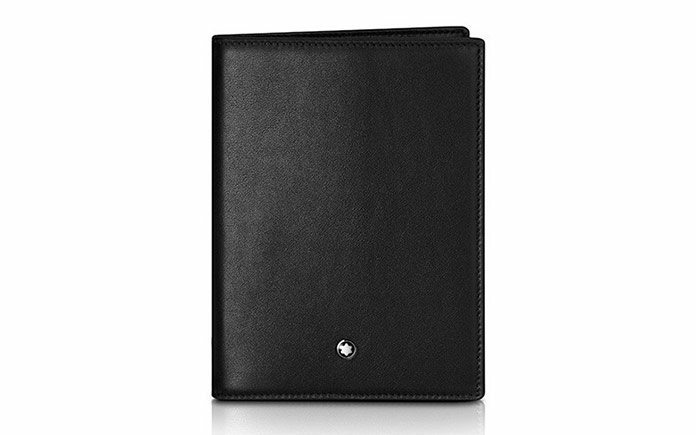 With numerous compartments, this exclusive case boasts lots of room for the numerous cards modern life entails. 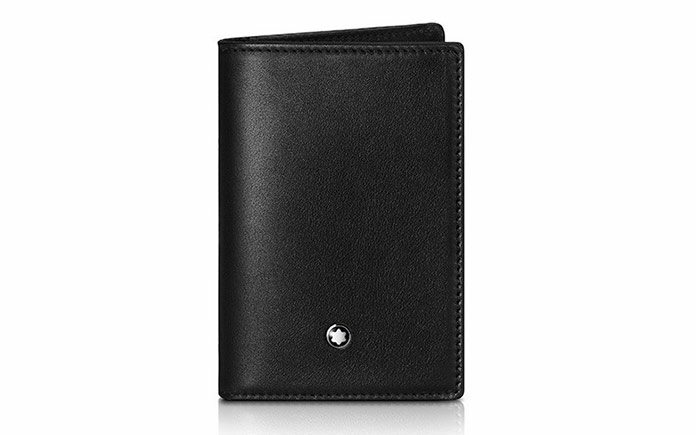 The Meisterstück passport case, a luxurious receptacle for international ID and travel documents, is the perfect companion for frequent travelers. The Meisterstück case for two writing utensils has room for two pens the size of a Meisterstück Classique or LeGrand, and also affords them optimum protection. The Meisterstück key case for the “Montblanc for BMW” Special Edition is a real highlight: Tailor-made for the new BMW 7 Series, it is the very first key case by Montblanc designed to suit the shape of a particular vehicle key. As such it symbolizes the partnership between the two companies and is the fitting high-end complement to the Meisterstück Collection in the “Montblanc for BMW” Collection. The hard-wearing creations in the “Montblanc for BMW” Nightflight Collection are ideal for urban discoverers on the move. Be it the handy document bag or a sturdy 55-liter capacity flight bag: in both cases robust nylon fabric with a ribbed structure makes the bags resistant to marks, water, and scratches. A high-quality leather trim, the Jacquard lining and the emblem’s ruthenium-plated ring set exclusive accents. On the leather surfaces the special BMW 7 Series engraving provides technical elegance and underscores the state-of-the-art appearance of the shape and material. Whereas the document bag boasts comfortable leather handles, versatile inner pockets, a padded laptop compartment, and a system for fastening the bag to a trolley, the sturdy flight bag has a classic large main compartment and a separate zippered compartment. The clever part is the integrated, detachable document section for swift, safe access to travel documents such as ticket and passport. Both the document bag and the flight bag have an exclusive luggage tag made of high-quality calfskin, which likewise boasts the exclusive “Montblanc for BMW” design. 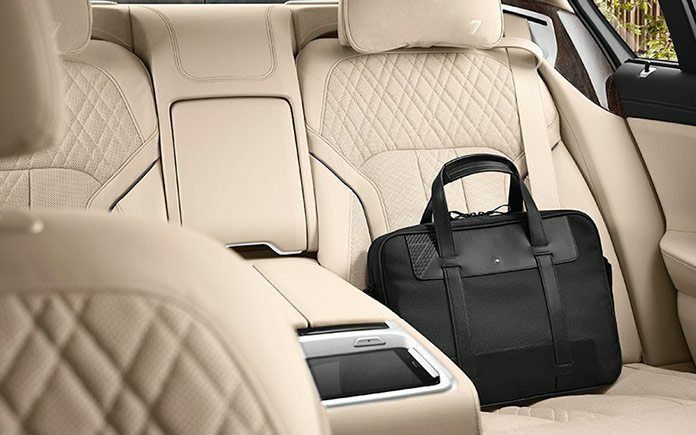 Not only does this prevent luggage being taken by mistake, or getting lost, with the BMW 7 Series engraving it also rounds out the appearance of the document bag and flight bag is a high-end way. 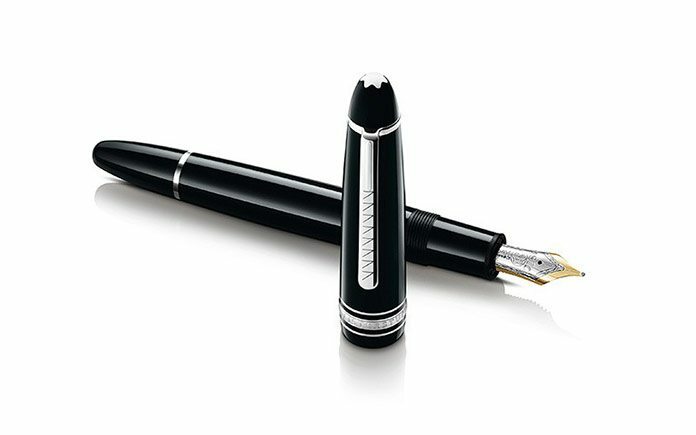 For more than 100 years the name Montblanc has stood for writing culture and writing instruments produced by master craftsmen. For this reason, in addition to the leather creations mentioned above, two writing instruments from the Meisterstück series enhance the “Montblanc for BMW” Collection: the Meisterstück Platinum Line LeGrand fountain pen, the classic Montblanc writing instrument, and the corresponding Meisterstück Platinum Line LeGrand Rollerball. Both are made of deep black precious resin with platinum-planed details. The clip is laser engraved with several stylized 7s and an individual series number. Furthermore, the fountain pen has a hand-crafted Au585/14 carat gold nib with rhodium-plated inlay. An exclusive Montblanc gift box rounds out the high-quality writing instruments. After its world premiere at the IAA 2015 car show the “Montblanc for BMW” Special Edition will be available worldwide from spring 2016 from selected BMW dealers and Montblanc boutiques.